So we’ve spent a few years collecting the most popular machines and formats of the past few decades. 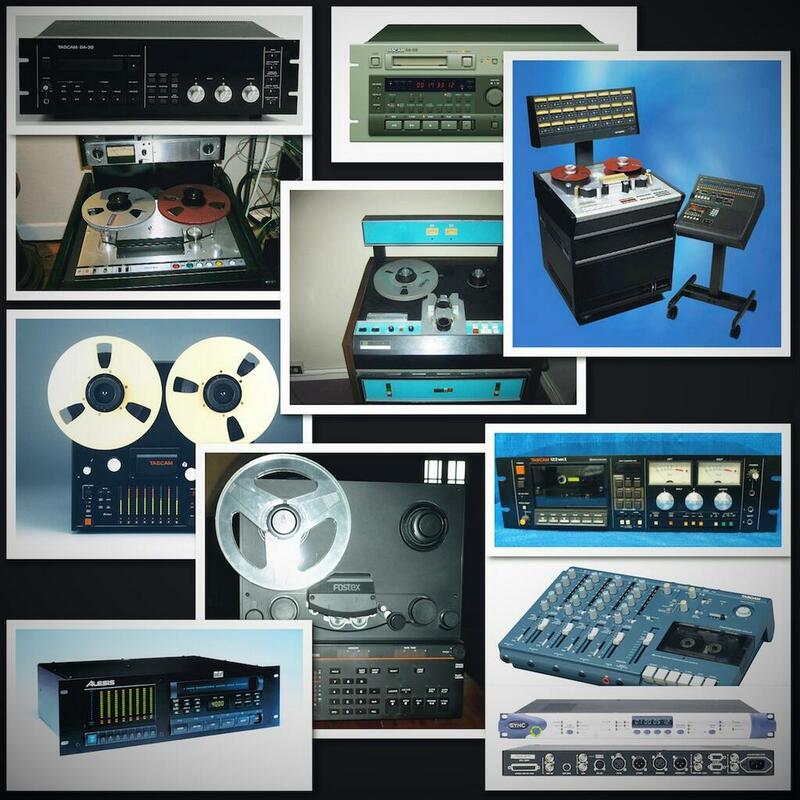 We now offer full analog/digital transfer and remixing/remastering services. You got tracks on 2″ 24 track, 1/2″ 8 track, ADAT, DA-88, DAT, 1/4″ 2 track etc? Not only is it best to transfer before the media itself completely breaks down and you lose everything, take a trip down memory lane and have the tracks remixed or new elements tracked. You never know what gem of a song exists on your old tapes – it could be the next big hit! !